How Can You Get Organic Pinterest Likes? Do you know that Pinterest is one of the effective ways of generating traffic to your website? Hence, you have to make Pinterest one of your social media marketing strategies. Do you want to get more organic Pinterest likes? There are various ways through which any business can generate more organic likes on this social media dedicated to visual content. Presently, Pinterest has about 880 million visits every month. You can also have your share of the visitors. This post will give various ways through which you can get organic likes on your Pinterest posts as well as how to generate organic traffic through Pinterest to your website. According to Pinterest’s new algorithm, pins that direct to valuable resources and useful blog posts are given preferential treatment and shown most to users on their home feed. This means that irrespective of how beautiful an image is, once it doesn’t lead to a useful resource, it will be shown less. These include beautiful images from sites like Shutterstock or uploaded pictures that do not lead to any site. 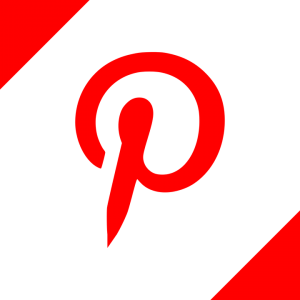 Note that for a pin to get organic Pinterest like, it must be shown often times to users. Hence, you would get more organic likes when you pin images that lead to valuable resources. If you don’t have a blog yet, create one for your pins. It’s possible to have large followers and yet get a few pin likes, why? Possibly you are posting irrelevant or unattractive pins. Pinterest is not Instagram where you can just post images that appeal only to you. You would surely get more organic Pinterest likes when you create attractive and relevant pins that will reach your core audience – both your followers and non-followers on Pinterest. When you post relevant and attractive pins, it will not only appeal your followers but Pinterest will display your pins in the “Picked for You” and home feed of millions of users, bringing more organic likes for your pin. You can also get organic Pinterest likes by using relevant keywords in your board title. When your board has the right title, this is one of the best ways of increasing the odds of having your pins shown up in the “Picked for You” and feeds of more Pinterest users. If you intend to reach more people who are travelers or want to travel, it is advisable to give your board the title: Travel Tips, Travel, or Best Travel tips. However, if you decide to be more creative and clever and give your board the title: Great Adventures of Harry Porter, the chances of your pins being shown up are less. If you see Pinterest more as a visual Google than a social network, then you would understand it works similar to the google search engine, which relies on keywords to present information. Lots of people conduct searches on Pinterest to help them plan and get ideas for their parties, gifts, weddings, clothing, etc. Your pin would be displayed more often and would lead to more organic Pinterest like if you look beyond just growing your followers by using 2-3 relevant keywords that people search for daily in your pin description. You can use the guided search to assist you in knowing what type of keywords people frequently search for on Pinterest. Sometimes joining group boards can help get your pins exposed to as many people as possible, and subsequently get you more organic Pinterest likes.